ZambiaInvest interviewed Patrick Chisanga, Director General of the Zambia Development Agency (ZDA). ZambiaInvest and Mr. Chisanga discussed the economic growth and development of Zambia and opportunities for trade and investment. 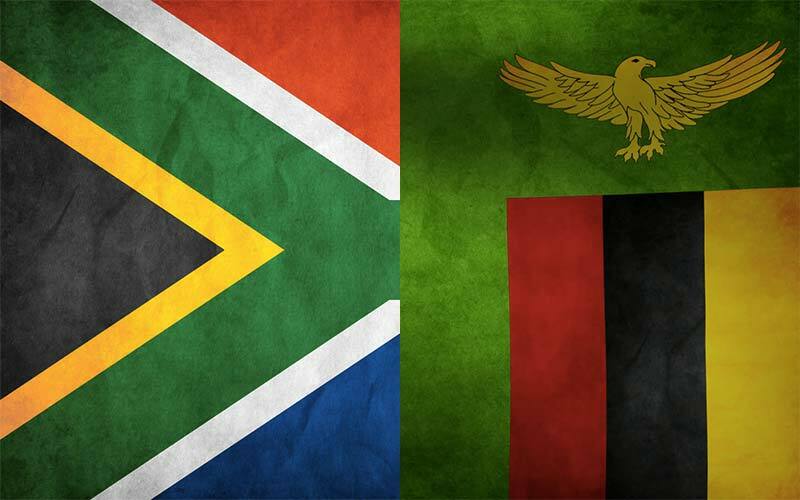 ZambiaInvest: The World Bank recently ranked Zambia as the 7th best country to do business in Sub-Saharan Africa and 5th in the South African Development Community (SADC) region. How do you explain such performances? Patrick Chisanga: Most factors looked at in the World Bank’s Doing Business Survey are found in reform efforts undertaken by the Government of Zambia in terms of policy, legal, and regulatory framework with a view to make the Zambian economic environment more business-friendly. The Government of Zambia made bold decisions in the early 1990s that have started paying huge dividends. With privatization, the mining sector rebounded a long time ago, together with huge money still being injected by investors because of the prevailing stable political and macroeconomic fundamentals and the declaration that Zambia’s economic development will be based on free, liberalised market principles. In Zambia, investors are free to invest in almost all sectors of the economy and they are free to repatriate 100% of their profits, and, unlike most South African countries, there are no foreign exchange controls and the capital account is fully liberalised. As a result of these reforms, the cost of doing business in Zambia has gone down in a number of areas such as a reduction in the minimum capital required to start a business; a reduction in the VAT threshold; and reduced interest rates from the Bank of Zambia (BoZ). Meanwhile the number of licenses and other requirements has also gone down and has been streamlined to just a few. Coupled with that is the fact that the Government embarked on the creation of One-Stop-Shop facilities such as those for business registration in Lusaka and Livingstone, and also those at border points for clearing imports and exports without unnecessary delays. The Zambia Revenue Authority (ZRA) and other service providers have gone on-line, so people don’t have to physically move to access and pay for their services. Additionally the Government has embarked on major reforms of the legal and judicial sector to ensure that the judiciary is business friendly. These include the successful introduction of a Small Claims Court; the increased use of mediation and arbitration to decongest court cases; the enhanced effectiveness of property rights in the form of Investment Promotion and Protection Agreements (IPPAs), the Double Taxation Agreements (DTAs), the review of effectiveness of the Lusaka Stock Exchange (LUSE) and the Securities Exchange Commission (SEC) rules. The improvements in the investment climate are anchored on well-coordinated reform programs, notably the Private Sector Development Reform Program (PSDP) and the Millennium Challenge Account (MCA), which are well supported by Zambia’s Cooperating Partners. ZI: Mr. Chisanga, you have recently been appointed as the new Director General of the Zambia Development Agency (ZDA) and are responsible for fostering economic growth and development in Zambia through promoting trade and investment. What are your overall objectives? What do you intend to achieve? PC: This is a very exciting time at the ZDA, for a number of reasons. You have a brand new Director General, who is myself – I’ve been in my seat now for about two months, and I have come along with the mandate to implement a new beginning at the ZDA. The ZDA is responsible for a number of economic performance directions. This organization is a product of a number of operational agencies, which have been brought under one roof in the last seven years. In the last seven years, my predecessor was concerned with the process of consolidation, building a common foundation, a consensus. Now the organization is set. One of our specific mandates is to develop the export dimension of Zambia beyond the copper exports. Cooper and minerals continue to be, to a very large extent, our main export, but the government has decided over the years that we needed to diversify our economy. For a long time, the percentage of the Non-Traditional Exports (NTEs) was very small, less than 20% of our export off-take, the bulk obviously being copper and other mineral exports. But as a result of sensitization and the support that has been extended to the non-traditional export sector, we have seen the percentage of these increase. The last figures show a significant growth of NTEs at around 33%. Specifically, with the tremendous amount of land, plenty of water (40% of fresh water in the SADC region) and climatic conditions are favorable for crop and livestock production, agriculture has emerged as one of our primary sectors, for the purposes of developing the non-traditional exports in Zambia. The Government has set up ten Farm Blocks in view of these factors. The strategy to be employed is to attract a Lead/Venture Investors to help develop the surrounding areas through vertical and horizontal business linkages. Agro-processing also presents massive investment opportunities for the processing of crops, fruits and vegetables, as well livestock, forestry (honey and timber) products. ZI: What makes Zambia a country that is particularly apt to export? PC: First of all, geographically, we are very centrally located in the bowels of the African continent. We are the only country on the African continent that has borders with eight other countries and in our enclave. 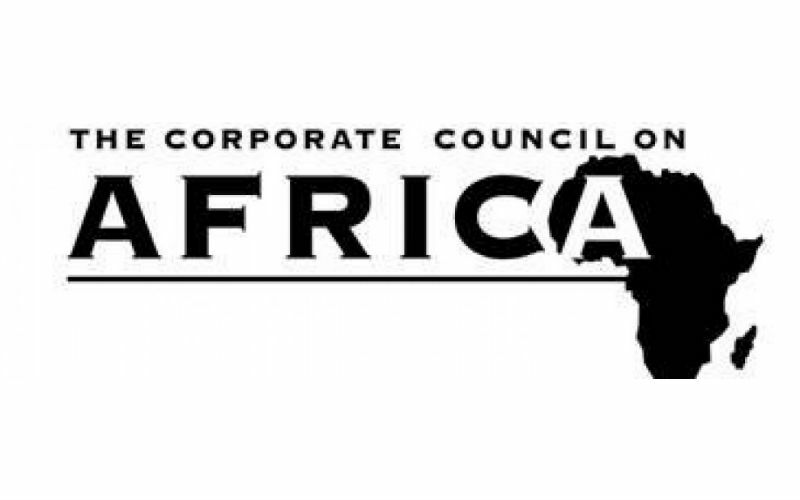 Membership to the South African Development Community (SADC) and the Common Market for Eastern and Southern Africa (COMESA), headquartered in Zambia, assures enterprises involved in foreign trade of duty free access to regional markets. So this gives any investor in Zambia access to a much wider market of not only just the 13 million Zambian people, but also a huge market of 400 million people. 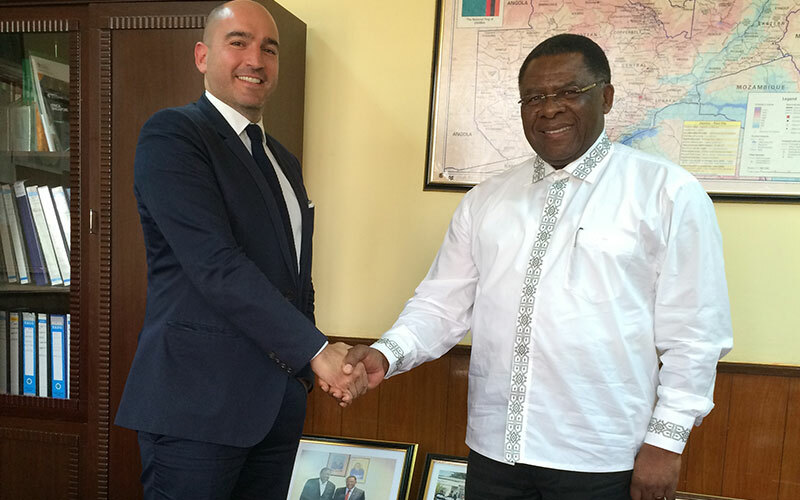 In addition, Zambia enjoys preferential trade treatment in a number of key markets via the African Growth and Opportunity Act (AGOA), the Canada Initiative, the ACP-EU, the Africa-China, and other Trade and Development Agreements. ZI: Which other sectors of the Zambian economy present the most interesting investment opportunities? PC: Infrastructure, to support all the economic activities associated with the over 6% GDP growth rate that Zambia has experienced over the last decade. For high-value major infrastructure projects, investors can consider going the Public-Private Partnerships (PPP) way where the Government of Zambia and some investments are already taking shape in hydropower generation. Manufacturing of equipment, especially that which is used in the mining sector. There are very few in this line of business. With Kafue Steel to supply the raw materials, there is the need for investment in the manufacturing of various types of machinery and equipment. The market is not limited to businesses located in Zambia, but we are looking at the SADC region as the immediate market for such enterprises. Currently most of the equipment is manufactured in South Africa, and movement of those pieces of imported equipment has had a high toll on our roads. In the tourism sector, apart from investments that have been made in the pristine natural environment, there are good opportunities in other niches such as conferencing and sporting events. Zambia is a latecomer in this, but its central location would help if the Government invested more in different types of infrastructure, which can be leased out to private operators or managed on concession arrangements. For high risk capital investments, those are options that the Government will look at and offer appropriate incentives or attractive PPP terms for private sector to get involved. Mining is still a key sector in the Zambian economy, especially with the discovery of large deposits of base metals. However, there is still a lot of work to be done in the gemstone sector. Specifically there are massive investment opportunities for value addition for the country’s abundant mineral resources, notably gemstones. 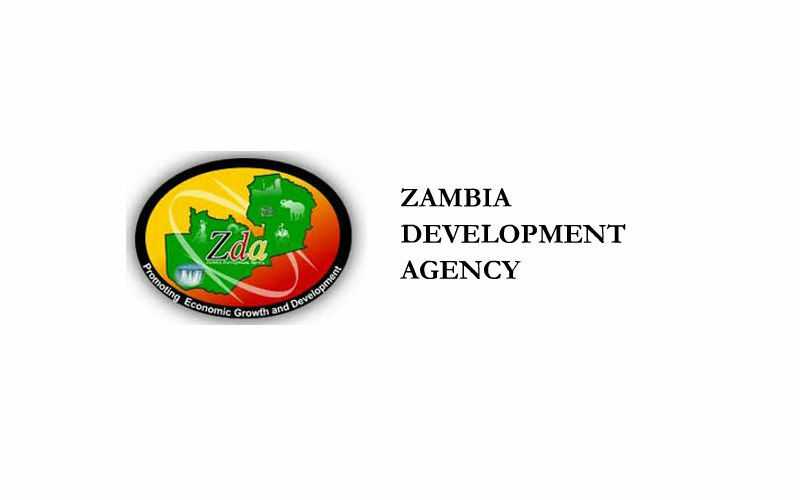 ZI: What are the initiatives in place at the ZDA to promote Foreign Direct Investment (FDI) in Zambia? PC: The initiatives are in the form of targeted investment and trade promotion missions mainly to the Far East Asian economies and Europe. However, another major dimension is to grow investments into Zambia, so we are targeting foreign direct investment as much as we are targeting local direct investment as there are a lot of Zambians that have money in their pockets. ZI: What incentives are in place to invest in Zambia via the ZDA? PC: According to the ZDA Act of 2006 and amended by Statutory Instrument No.17 of 2014, those investing less than USD 500,000 will benefit from the general incentives as provided under Customs, VAT and Income Tax Acts. Investments above USD 500,000 attract a number of incentives: first, a tax holiday for five years, from the day they start to operate and second, all of the equipment that is to be imported for the purposes of that particular project is free of import duty and Value Added Tax (VAT). Investment located in approved Multi-Facility Economic Zones, rural areas in priority sectors such as agriculture, construction, tourism, health and manufacturing will enjoy additional sector-based incentives. There are also Small and Medium Enterprises (SMEs) related incentives whose fiscal incentives depend on the location of the business. But there are other non-fiscal support incentives, which we provide at the ZDA – for instance, facilitation with immigration formalities. It’s also very important that investors coming to Zambia feel completely secure against nationalization, which is why investments in Zambia are guaranteed against nationalization. ZI: How effective is the ZDA in promptly communicating with and providing assistance to investors? Is there a specific window at the ZDA for investors? PC: We have developed what we call a one-stop-shop at the ZDA. An investor wanting to come into Zambia must look at the ZDA as the gateway to the Zambian economy. We have investment promotion officers who will receive the investor, sit down with them, and try to understand their needs and also where they need assistance. And then it’s up to the ZDA to process that investor’s application, issue the license, and also to make the linkages with the relevant ministries. At the ZDA we make it easy. That’s why the World Bank ranked Zambia the 7th easiest place to do business [in Africa] at the moment and this is implemented through the ZDA system. We want investors to concentrate on the business of investing, and once they have invested, they must concentrate on production, on making money for themselves and for our country, and on creating jobs for our people. The ZDA takes the load off the shoulders of the investors by running around for all of these certification permits and so on. Our expectation is that these local and foreign investors will be our ambassadors in attracting further investments to the country because of their experience with the Agency. ZI: What is that makes the ZDA particularly effective? PC: Well, I think we’ve learned our lessons from the time when we had separate agencies doing what is now the composite work of ZDA. We realized the inefficiencies in such structuring and we’ve also had an opportunity to learn from other investment promotion agencies in other countries on the African continent and elsewhere. We’ve tried to do learn from the experiences of the past to understand what the bottlenecks are and to devise ways and strategies of overcoming those bottlenecks. We work very closely with the Zambian Association of Chambers of Commerce and Industry (ZACCI), for instance, and other stakeholder groups. We ask for feedback to test us on how we’re doing and where we are not doing as well as we should be. So we’ve opened ourselves up to constructive criticism, input and feedback from various stakeholder groups and we learn from that. We’ve also made use of technology in the sense that a lot of our systems are now computerized and this helps us to process applications and so on a lot more quickly. Also, we have effected and are strengthening the linkages with key government ministries. You see, the promotion of investments and business are not best handled by government departments, because of bureaucracy and due to the nature of the accountability systems in government because they have to be a lot more cautious about how they do and process things. It is for that reason that the ZDA was established outside of the pure government system, because we can adopt methods that are applicable to the private sector. As the new Director General of the ZDA, I’m someone who has a certain attitude, an attribute which you can call a strength or a weakness, depending on how you look at it, and that is – I like to get things done and get them done as quickly as possible. I work at that pace, and I like my colleagues who work with me to work at that same pace. I have started a process to develop performance benchmarks for the ZDA as a whole, but broken down to each of my division directors. I want a sense of buy-in, a sense of ownership by each of my directors. I don’t hand down the performance benchmarks without discussion – I suggest that by drawing on the broad mandate that we have been given. Then I discuss the targets with them and, once we agree, it becomes the responsibility of each director to put into motion a plan of action to achieve those targets. On a monthly basis we’ll review our progress toward reaching certain targets. So that’s going to be our operational style, if you like. ZI: Which challenges can you foresee on the road to ensuring Zambia is perceived as an investment destination of choice? PC: We need to make the investor community more confident by recommending very clear policies to government. For that, we have been edging and advising the government to ensure that our policy instruments in various areas remain consistent. In terms of the macro-economic fundamentals, I think the government has done very well. We’ve been able to maintain single digit inflation for several years now, and consequently the exchange rate has equally been stable. There was a little bit of a hiccup after the 2011 elections, as expected, but the investor community has just reaffirmed that Zambia remains, politically, one of the most stable democracies on the African continent. We’ve gone through six general elections, all of them peaceful, and very importantly, something that not many democracies can actually match, we have had three different political parties in government in the last 50 years. It’s a reflection of the maturity of our democratic system, the maturity of the politics in our country, and the inherent peace-loving nature of the Zambian people. ZI: How do you see Zambia in five years? What do you think it’ll look like? PC: I think that Zambia is the growing economic frontier of Africa. There’s no question about it, because if you take the sum total of the key elements that help an investor’s mind to decide where to invest, I think you’ll find everything right here in Zambia – the political stability, the wonderful climate, the very fertile soils, the rivers and lakes and the wonderful people of Zambia. That is why you see that we have African investors moving here. For instance, Dangote of Nigeria is about to commission a cement plant with an investment of USD 400 million. The demand for cement in Zambia is phenomenal and in our neighboring countries too. I think the fact that other African private sector investors are coming to Zambia tells you a lot about our competitive advantage as an investment destination. I cite this example just to show you why I am so confident that five years down the line, Zambia will be Africa’s hub for economic development.